Why Are Your Staffing Firm Jobs Not Appearing on Google And What’s the Deal With Indeed? This is a must read for every staffing firm. For those of you that are not aware, Indeed is no longer screen scraping jobs from staffing firm websites. In other words, no Indeed staffing jobs. What? Is that why you are seeing decreased applicant flow? Probably. Last October, Indeed announced the plan to eliminate staffing firm jobs. This went into effect the first week of January 2019. (covered by SIA: https://www2.staffingindustry.com/site/Editorial/Daily-News/Indeed-curtails-free-postings-by-staffing-firms-but-they-can-still-use-sponsored-ads-47824) There is not much you can do about that, but this news coincides with Google Jobs. But, your jobs are probably not showing up there either. Where Are Your Jobs on Google? In the middle of 2018, Google launched Google Jobs. 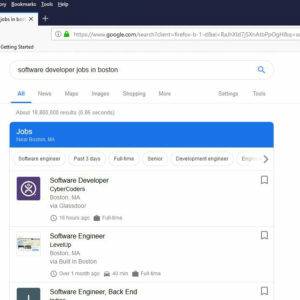 Before this launch, every staffing firm wanted their jobs to appear on the first few pages of a Google job search like “java developer jobs in Boston,” but because of how search engine optimization works, the sites with the greatest traffic like Indeed, Monster, CareerBuilder etc. moved to the top. 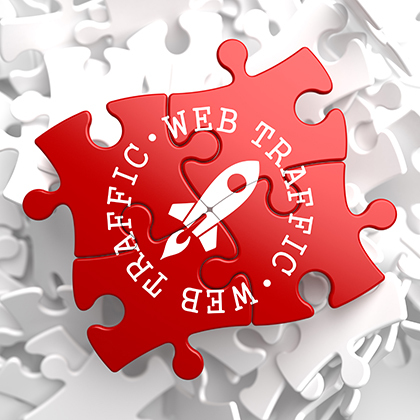 In the industry, we all accepted that there was not much that could be done about it without paying for Google Ads. The launch of Google Jobs now places actual job postings at the top of the page above the organic links. Google is not charging for the postings (as of yet and remains to be seen). If you want your jobs appearing on Google searches, then there are a few things needed. You need to set up a Google Search Console account and link it with your site. You need to add the Google jobs schema to your site. Google job schema is the information that tells Google what kind of page they are seeing and what information belongs where like job title, location and more. Without setting this in motion, your site is simply sending jobs to Google just like your regular pages and Google does not know what to do with them. If you want to know if your jobs are appearing on Google Jobs, it is easy to find out. Go to Google Structured Testing Tool and it will ask you for a test URL. Go to your website, then to the jobs page and click on one of your jobs. Copy that URL and paste it into the field on the testing tool and click run test. You will either see a good result or a bad result. If Google is recognizing that your job is a Job Posting, then you are at least in better shape than most. If you see the Job Posting data, then be sure to see if you have errors or warnings as they need to be addressed to ensure that you are showing up. If you get the bad result, then you do not have the Google job schema on your site and you are letting all your competitors have postings without competition from you. Indeed’s decision of no Indeed staffing jobs may be bad news for many of you, but Google’s decision is definitely good news. If you want to know more or need some help or simply want to discuss, let us know. We are here for you.